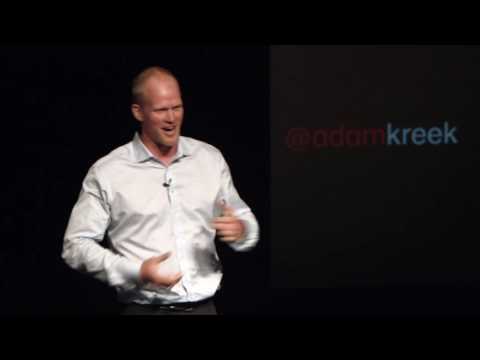 Adam Kreek is an Athlete … well… he was an athlete before he got married, had kids and found a job to pay for those lovable darlings. Adam won over 60 medals during his international rowing career, including Olympic Gold in the Beijing Olympics. And, if that weren’t enough, Adam then hopped on a rowboat with three other men – crammed it full of scientific and communications equipment – and rowed from Dakar, Senegal to the Bermuda Triangle. He and his crew were aiming for Miami, but a series of waves capsized their dream of a self-supported landfall and necessitated a coastguard rescue. Today you can find Adam on family hikes, in a Whitehall Spirit rowboat crab fishing with his kids, or teaming up with other “used-to-be-fit” middle aged warriors for the occasional weekend thrill. Adam is a freelance Journalist with CBC and a champion for the Canadian Men’s Health Foundation. He believes that small changes can add up to make a big difference.